This workshop is usually held just once a year to photograph the Peak District Landscape when it is looking at it’s best. 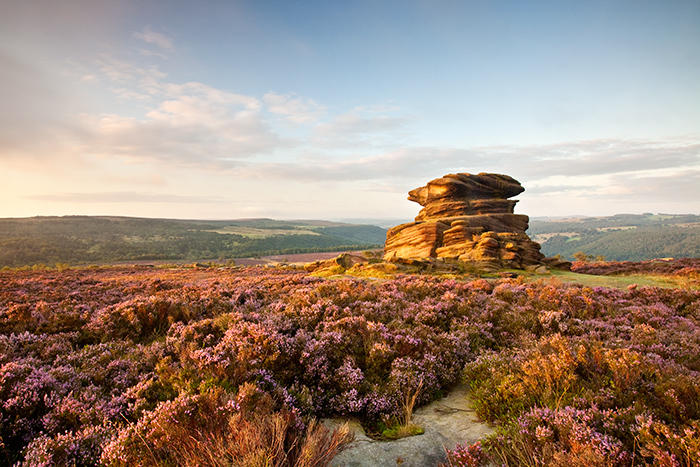 As the Heather blooms the grit stone edges and moorland are transformed with some stunning colours. This Peak District Photography course / workshop starts in the afternoon around the Castleton area and finishes around the Hathersage area. 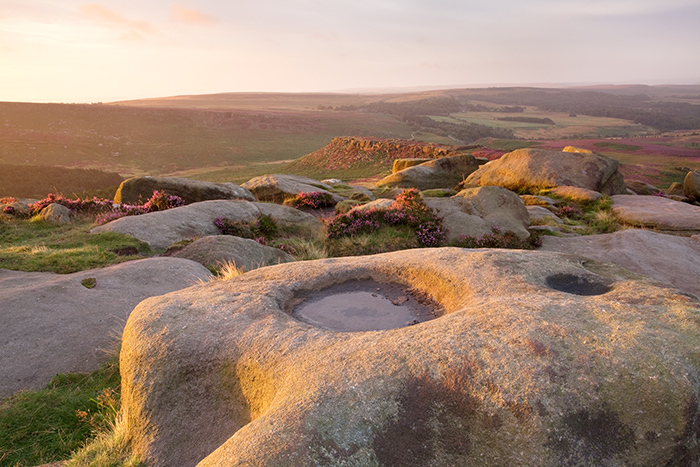 We will shoot three or four locations with a mixture of gritstone edges and waterfalls. This workshop is aimed at all levels including complete beginners. Due to the way I teach this is a more relaxed way of working as opposed to learning in a classroom environment, we will be shooting first hand and seeing how the changes we make in our settings, approach and technique affects are images. Due to the small group numbers on the courses I will also be going around each individual photographer to also make sure what is taught is relevant to you and your camera. For further information for my one day workshops please click the below link or contact the office for a one day workshop brochure. Transport will be in our own vehicles, although I can often pick people up and drop them off at, or close to our start location if required. Food and drink are not included in the workshop price, snacks or a pack lunch is recommend. This workshop is suitable for all abilities including complete beginners. Lee filters have kindly provided a large selection of ND Grad kits and Big & Little Stopper filter kits that workshops participants can use during the workshop. To purchase a place on this workshop please click the buy it now option below, payment can be made online or you can send a cheque in the post. During Checkout Please type in the workshop date you require and any other instructions (such as if you would like a gift certificate) in the Order Notes box.